The International Summer School on the “EU Area of Freedom, Security and Justice” aims to advance understanding of the law, policies, challenges and dynamics in the integration process of the Area of Freedom, Security and Justice (ASFJ). The summer school will analyse the structure of the ASFJ and the role that the EU institutions play, the European Citizen’s Rights and Obligations in the ASFJ, the Schengen Agreement and the enhanced Frontex Agency, the Immigration Policy of the European Union, economics of immigration and criminalisation of immigration, the Asylum Policy of the EU, European Criminal Law and specific examples on trafficking, terrorism etc. and Mutual Recognition of Judicial Judgments (Brussels Regulation). 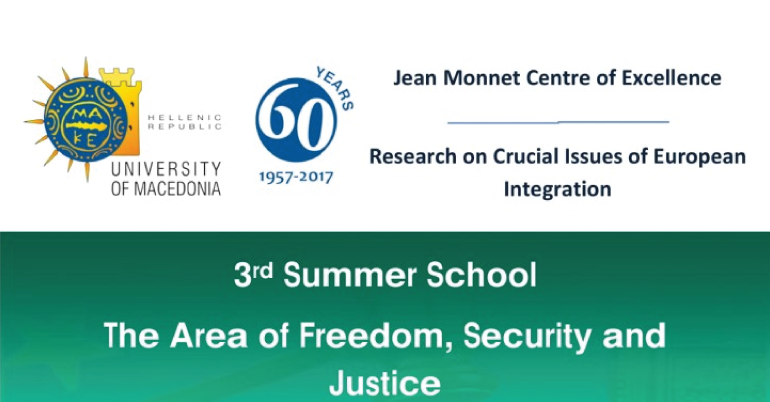 The Summer School is organized by the Jean Monnet Centre of Excellence at the University of Macedonia. The Academic Coordinator of the Summer School is Despoina Anagnostopoulou, Associate Professor of EU Law at the Department of International and European Studies, University of Macedonia. The Summer School offers to all participants a unique opportunity to meet multi-disciplinary faculty from Greek and EU Universities. The Summer School is held in the city of Thessaloniki, Macedonia, Greece. Thessaloniki is the second major economic, industrial, commercial and political centre in Greece. The city was announced Cultural Capital of Europe for 1997 and Youth Capital of Europe for 2014. It was founded in 315 BC by Cassander of Macedonia in honor of his wife, Princess Thessaloniki, sister of Alexander the Great. Thessaloniki is home to numerous notable Paleochristian and Byzantine monuments, 18 of which constitute a UNESCO World Heritage Site, as well as several Roman, Ottoman and Sephardic Jewish structures. The Summer School is open to undergraduate and postgraduate students, as well as PhD candidates, researchers and practitioners from all over the world with a keen interest in the topic. In the framework of the course, participants had the chance to engage in discussions and interact with renowned scholars in the field. A good knowledge of English and the demonstration of a strong interest in the topics of EU are preconditions for a successful application. 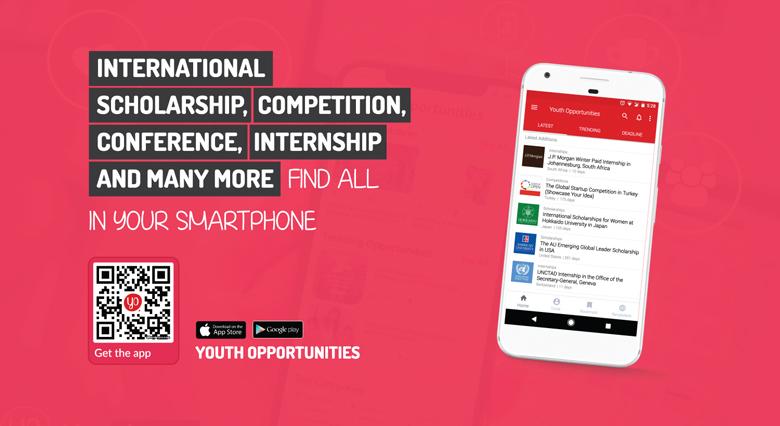 Application form is available in the Apply Now Link. You can also find the application form at the website of the Jean Monnet Centre of Excellence jmcexcellence.uom.gr.